Lottery millionaire, Luke Pittard, who was in his early twenties when he won £1.3 Million on the UK National Lottery was found returning to his former job at McDonalds in Cardiff. And his reason - because he misses his friends. After winning the UK lotto, Luke splashed out on a new home, car, an expensively grand wedding, and holiday in the Canary Islands. But after the initial spending spree, he decided that he wanted to go back to his old life and just have the normal life he used to have and he couldn't be happier. Flipping burgers for an hourly rate of £5.85, the young millionaire said, "They all think I'm a bit mad but I tell them there's more to life than money... 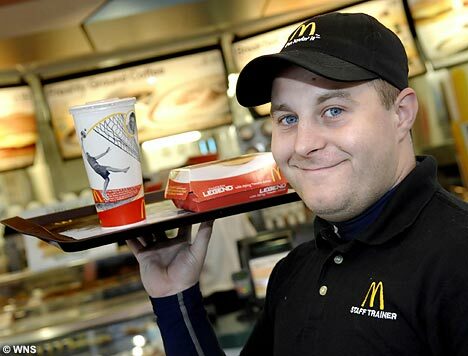 I loved working at McDonald's before I became a millionaire and I'm really enjoying being back there again."